Every child's childhood has a dream of becoming an engineer. Take apart truck toy allows children to assemble the parts of the engineering vehicle, stimulate imagination and cultivate thinking ability. It is a toy that trains smart babies and enhances parent-child interaction. 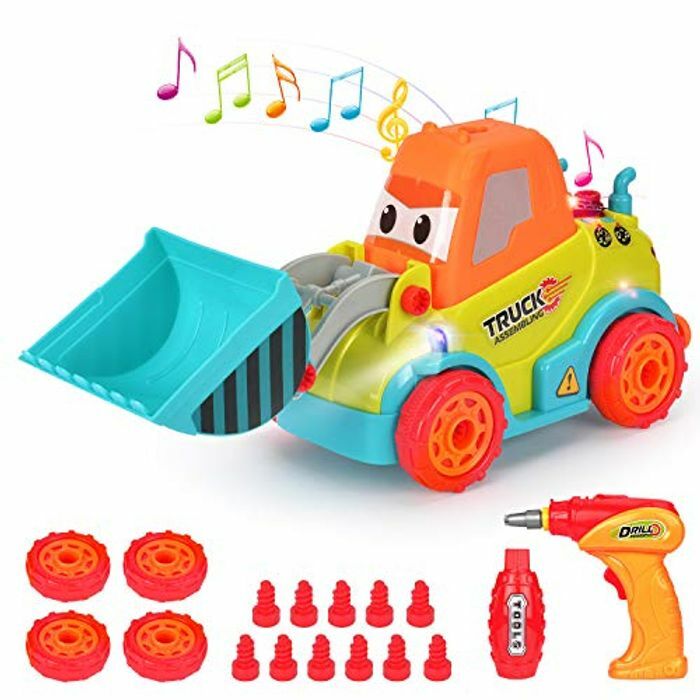 With playing this take apart truck toys, keep your child away from TV, computer and phones. This toy is suit for boys and girls 3, 4, 5, 6 years old. Made of high quality plastic material, which is durable, sturdy, non-toxic and easy to assemble. Smooth edges avoid scratching hands. It's safe for kids and durable for long playing. Yes I have noticed this same thing, is showing as £9.99 on lightening deal.